Dentists Need SEO. Great Website Design is Not Enough. As a dentist, SEO (search engine optimization) probably isn’t the first thing that comes to mind when you think about website design. But if you’re considering getting a new practice website, and you want it to be a source of new patients, SEO needs to be on your mind. These three things must be part of the strategy from the very beginning of your website’s creation or you could end up doing a lot of backtracking and “fixing” later on. 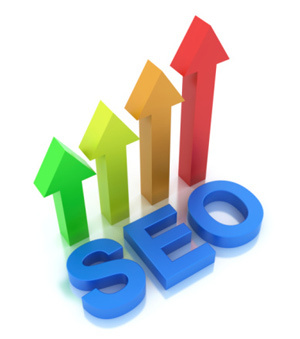 Unfortunately, many people don’t consider SEO until after their website has launched. While some search engine optimization can’t take place until your website is live, some of the fundamental SEO work needs to occur before it’s live. For instance, a competitor analysis needs to be done before any work begins. Keyword research needs to be completed before the content is written. You need to know your target jurisdiction, which keywords to use, and how the site needs to be structured to engage your audience. If you work with a freelance designer who is just getting paid to design a beautiful site, odds are these critical factors will not be considered. Sure, you may have a cutting-edge website design, but that doesn’t mean anything if no one can find it in the search engines. You should partner with a website provider who specializes in creating conversion-friendly, search engine optimized practice websites. And this partner needs to practice “white hat” SEO techniques (strategies that conform to Google’s terms of service). Attempts to game the system through the use of “black hat” techniques can result in a website penalty that may keep your site from ever being seen on page one. User experience actually carries more weight with Google than you may realize. They use metrics such as the length of time a visitor stays on your site and how may pages they visit to determine the quality of your web pages. If visitors are consistently going to your website then clicking the “back” button right away, this sends a bad signal to Google. Clearly your website isn’t providing searchers with the information they need. It could cause your rankings to drop. On the other hand, if most visitors spend a few minutes on your website and click through to multiple pages, this sends a great signal to Google. Obviously they’re finding the information they’re looking for, therefore, Google will continue to show your website in the search results for those keywords that produce engaged visitors. Creating a practice website by hiring multiple freelancers to tackle various components makes it difficult to ensure your site will be findable in the search engines and able to convert visitors into new patients. 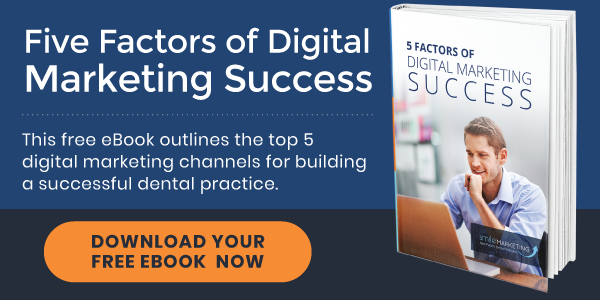 To avoid a disconnect, be sure to research any website provider you’re considering partnering with to ensure they can handle all aspects of creating and maintaining a new patient-producing website. « New Dental Websites, Just Launched!